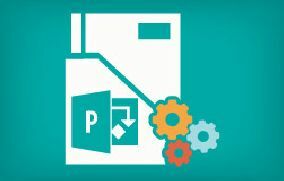 Across the IT industry, project managers depend on one tool for easy project planning, budget allocations, resource assignment and analyzing workloads—and that is the Microsoft® Project 2013. Our comprehensive e-learning course will teach you how to harness the power of this project management software, to create a full-fledged project from scratch. You will learn to develop initial forecasts; elaborate on those forecasts during and throughout your projects execution phase; manage change; track and control your project commitments; share and communicate your project's delivery status and resource requirements with your team members and other stakeholders effectively.This comprehensive e-learning course is apt for busy professionals with a passion for learning and thirst for success in their careers. Create and share reports and communicate effectively with the project stakeholders. Deliver a project plan to stakeholders, sponsors and team members effectively. Perform project management from start to finish for multiple projects simultaneously. Create,add, organize and assign tasks effectively. Eligibility: This course is for seasoned and aspiring project managers who want to learn how to use the latest Microsoft® Project 2013 client software effectively. This course is also a great value addition for those planning to write the Microsoft's®74-343 certification exam.